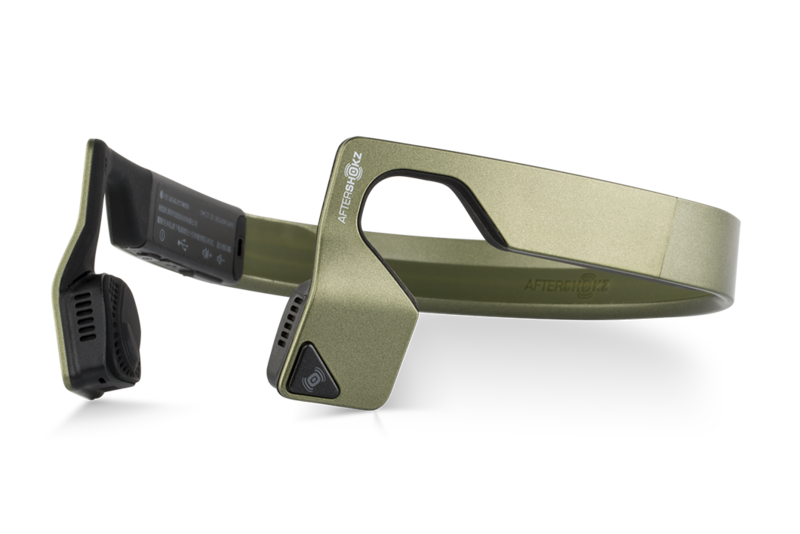 Manufactured by AfterShokz. Released December 15, 2015. MSRP $99.95. Review unit provided by manufacturer. Either you know exactly what I'm referring to, or you think I'm trying to impress you with technobabble. 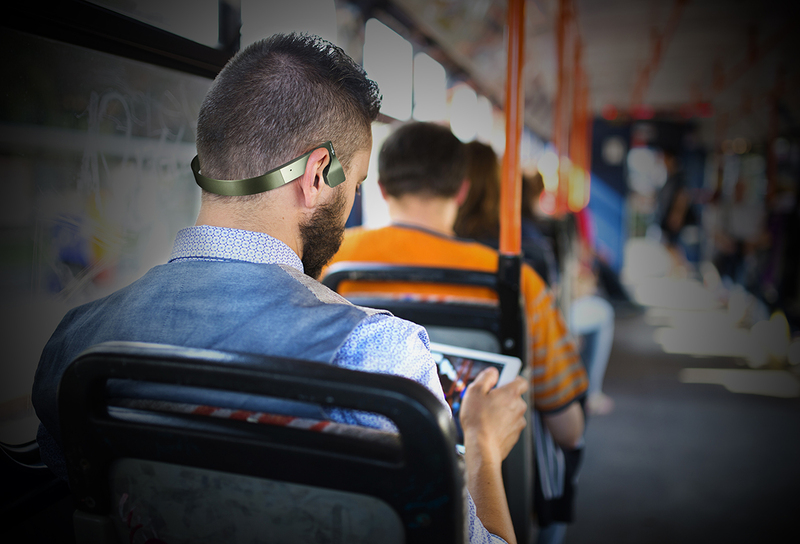 When I first heard about a headset that delivered sound to its wearer via bone conduction, I sure was impressed by the concept: rather than send sound waves through the air to reach your inner ear, they are sent through the skull. 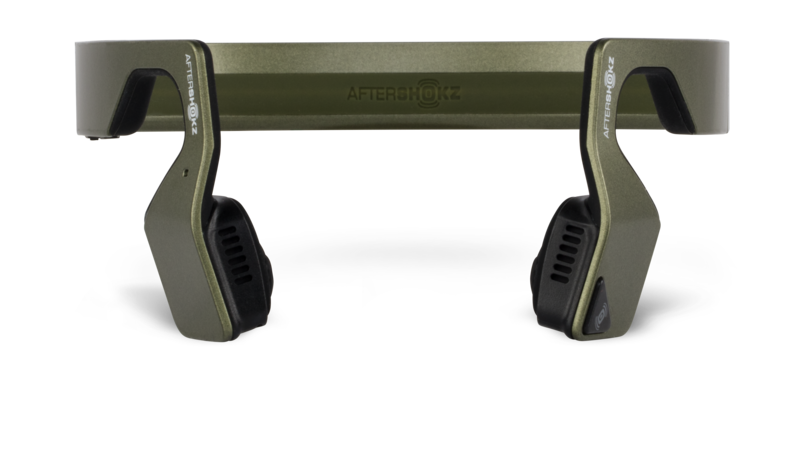 AfterShokz is a headphone brand that has made a name for itself in this niche, and their Gamez headset is marketed specifically to gamers. They sent me a review copy to try out this newfangled technology for myself and see - or hear - just how well the Gamez performs. But before we get to the performance, let's quickly cover the aesthetics: the Gamez' design is sleek and modest, stylish without being visually loud. The only color the headset comes in is metallic green, which seems neutral enough to suit most tastes while still being more distinguished than full-on black. The Gamez doesn't call attention to itself or its wearer, and it may even take a second glance to realize someone is wearing the headset. Wearing the Gamez can be a little tricky at first as you figure out how to position it. While it seems natural to place speakers on or inside your ears, these actually rest just outside your ear, and the included manual contains instructions on the best positioning. I admit that putting on this "high-tech" headset for the first time gave me a happy geek moment of feeling like Geordi La Forge, and in fact, much like how Geordi's visor allowed him to overcome his blindness, the Gamez and other bone conduction headsets and hearing aids can help overcome impaired hearing. The best way to explain how that can work is by simply stating that the Gamez sounds best when you plug your ears. Yes, sticking your fingers in your ears to block out noise actually makes the Gamez sound louder and fuller, as though you were wearing some heavy-duty headphones. And while you could wear earplugs and use your Gamez, that does defeat the purpose of having headphones designed to not block out external sound in order to keep you aware of your surroundings. But even without blocking your ears, the Gamez delivers solid sound, especially at higher volumes. Depending on the device you're pairing to, you may find that the max volume is a little on the low side - while paired with my phone, I had to listen to music on max just to have what I felt to be an enjoyable level of volume, whereas my earbuds would have been ear-splittingly loud at that same volume setting. And while I love the feeling of the bass vibrating through my skull at high volumes, it's when the Gamez is at its peak performance that it also suffers the most from sound leakage - people near you will hear what you're listening to unless you keep the volume unsatisfyingly low. Pairing the device to my android phone was a breeze, and my Windows 10 laptop was simple enough, but it took some struggle to get the Gamez working on my Windows 7 PC. That likely has less to do with the Gamez and more to do with Windows 7 fussing about Bluetooth devices, but it's a consideration for a headset marketed for "gaming on PC, Mac and mobile devices." If you have need to voice chat during your gaming, the Gamez' built-in mic is good enough to communicate. The quality isn't great, but it gets the job done. The headset's battery life is listed as six hours of continuous play - enough for extended gaming sessions - and it charges fully in under two hours. Because it's so light, the Gamez is comfortable to wear throughout your game time, but I did find it to be less comfortable when I wore a cap or when I wore my thick-framed glasses. 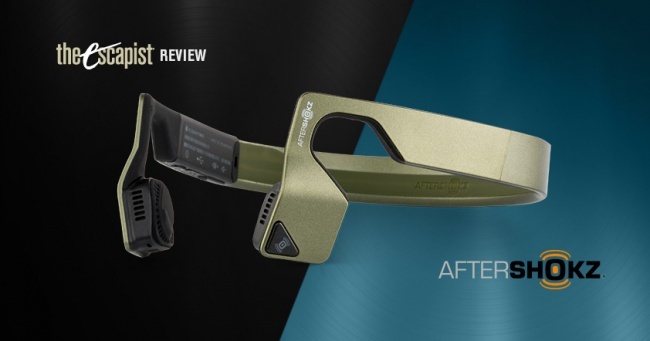 Bottom Line: The Gamez is a Bluetooth headset that offers good (but not amazing) sound quality and a generally comfortable fit, has a decent mic, and its charge will last throughout a day of solid use. It will leak sound, though. Recommendation: If you dislike heavy headsets and earbuds, want to remain aware of your surroundings, and need to maintain wireless communication, the Gamez is a solid solution.